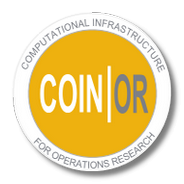 COIN-OR is pleased to announce that it has been awarded funding by the IMA (Institute for Mathematics and Its Applications) to run a week-long workshop followed by a series of “coding sprints” to take place over the following year. The workshop and coding sprints are designed to support development of COIN-OR projects and infrastructure, as well as improve the sustainability of COIN-OR projects through improved documentation, testing, and maintenance. HIGHs LP Solver Coding Sprint (February 2019): The week of February 18-22, the IMA will host developers of the HIGHs LP solver and others with an interest in integrating this new, high-performance solver engine into the COIN-OR Optimization Suite.